Apple just launched the latest version of iOS, version 9.2. This update brings some bug fixes and a new great feature for photographers. 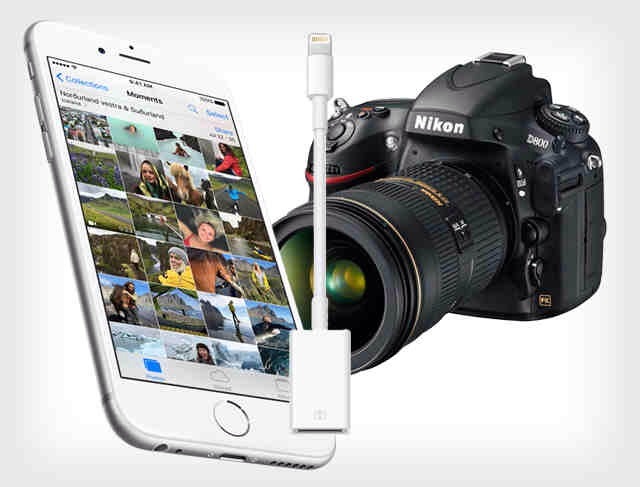 Now, photographers can import directly on any apple device photos using a dedicated Lightning to USB Camera Adapter. This new feature is great for all photo travellers because can manipulate photos using only their iPhone or iPad, now they can leave the laptop home. This feature will be great for Instagram users who likes to shot photos with a dedicated camera before sharing them on the service. To use this feature is very easy. You should connect camera to your iPhone or iPad using dedicated Lightning to USB Camera Adapter and after that the device will open automatically Photos app and allow you to choose with photos and videos you’d like to import. You can choose also RAW files. The Lightning cable is available only for 29$ on Apple store. A new version of Lightning to SD Camera Reader is also available on the Apple Store. This packs USB 3 speeds for iPad Pro and USB 2 for other devices.